While I’m off restoring my inner warrior, some friends have stepped up to bat to help me out by sharing some pretty amazing stories of growing triumphs of their own. I went on my first diet in grade 5, at about 10 yrs old. I wasn’t huge; I just needed to lose 10 lbs or so – ‘to be normal’. My mom bribed me with a pair of the then popular stirrup pants because, “you can’t wear those if you’re heavy”. Of course I did it. Starved myself and lost the weight, but it only creeped back over the next few months plus another 10 lbs. I only ever wanted to be normal. It’s been my goal for as long as I can remember. I didn’t need to be thin or beautiful, just normal. What I wanted now was for people not to stare at me as I walked through the mall. To avoid having children at the grocery store or hair salon ask their mothers, “Why is that lady so fat?” To be able to go on a bike ride or run around on the soccer field with my kids. Things that “normal” people do. There was never any reason for it, the constant weight gain. I came from an amazing, loving family who had high expectations of me, but nothing crazy. The truth is, I just love food and hate exercise. Always have, always will. Unfortunately, I eat when I’m happy, sad, or stressed. When I’d go on a diet , it wasn’t just my stomach aching for food, but my heart too . I’ve gained and lost hundreds of pounds and had asked for help so many times, it was embarrassing. The answer was always, “Why don’t you try weight watchers and cut out the fried food.” Um, thanks for that…why didn’t I think of that? In fact, I was always an extremely healthy eater. I just ate too much, too often. After 28 years of yo-yo dieting, using every program, supplement, clinic and cabbage soup recipe, someone gave me the courage to do something different. My two sisters-in-law, to whom I will always be grateful, finally stopped tiptoeing around the problem by stating outright that I needed medical help. I’d already known this, but I was always just too scared of what people would think to make the call. From the time I finally did make that call, I spent over 18 months on a wait list before I was contacted again for an orientation about my options. It took another 6 months of several follow-up appointments, journaling, exercise, counselling and more before I was approved for the surgery I’d chosen. 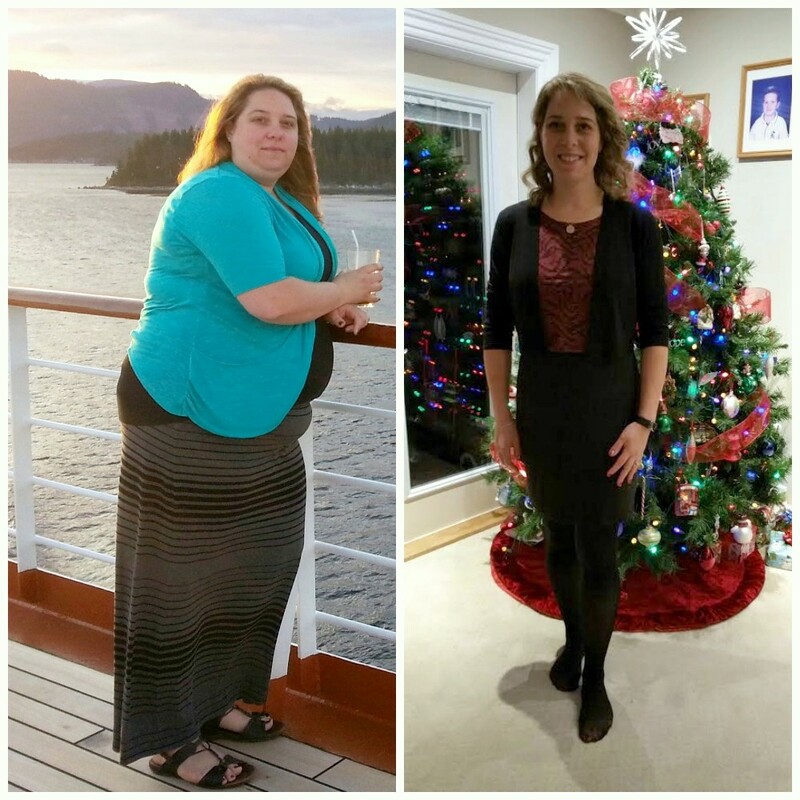 On February 5th 2015, I had gastric sleeve surgery. I weighed 280 lbs after already losing 20 lbs by then. They cut out most of my stomach and left a pouch about the size of a banana. Yes, it was painful, but I had a goal and normal finally felt like it was within my reach. One of the most interesting things I found after surgery was that I learned I had never truly felt full before. The feeling in my chest, even after swallowing only small amounts of liquids now, was a completely unknown sensation. I’d honestly never felt full in all my 39 years . The results since have been amazing physically, emotionally and in general growth. 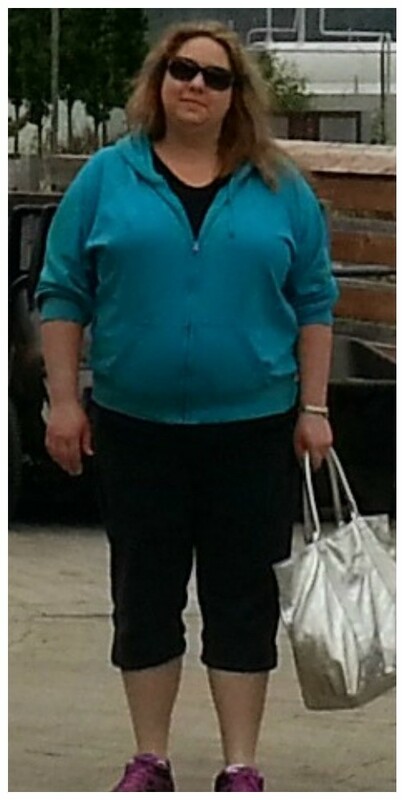 From my orientation of August 2014 to September 2015, I lost a total of 135 lbs, most since February 5th. The transformation was apparently equally startling. I was surprised by the number of people who didn’t recognize me and the looks of shock on their faces was comical. Quite a few people literally did not recognize me; they thought I was my own sister. Shock aside, I’ve seen something beautiful happen too. When I show my before and after pictures to the people who really know me and love me, they are always surprised that I was ever that big. The one thing I’ve learned is that those people never saw the outward person that I was always embarrassed about. They just saw me. The extended pluses: I can now do any exercise I want. My debilitating back pain is gone. I don’t need an afternoon nap. I walk in public and don’t constantly wonder what all those staring people are thinking of me. I really don’t care anymore, which is weird for me. I’ve always cared. Always worried about what everyone else thinks. I’m also more comfortable around my husband in our more intimate situations. That’s a huge step for me. I even gained the courage to apply for and get a new job. You’d think with all this joyous news I‘d be happy, complete, & unconcerned about the future. Well, the reality is that couldn’t be further from the truth. Despite the overall success, I have one unusual drawback. I am still constantly bombarded with hunger and cravings – gnawing, painful hunger. Like my stomach is trying to eat itself, and while I am now more able, exercise is a daily mental struggle. I wish I was one of those people who started loving it, but I’m not. Worse than all of that, is the fear. I am terrified of gaining the weight back and having everyone know I failed. After all the amazing people who helped and supported me, is it possible that I could allow my brain to derail me? But, in a way, isn’t this what normal is? Aren’t we all afraid of failing…no matter what our goal or accomplishment? If only we could learn and truly believe success isn’t about a number on the scale, the level of education we’ve achieved, or the amount of money we have in the bank. And so, this is the next goal for me. Learning to be happy with Karen, regardless of how much I weigh, or more importantly, what other people think of me. This is what should be ‘normal’. This entry was posted in #MondayBlogs, Body Image, Health, Inspiration, Life, Personal Growth, self image, Self-Esteem, Storytelling, Uncategorized, Weight Loss and tagged body shame, gastric sleeve surgery. Bookmark the permalink. I hope you achieve your goal after doing so well with the actual weight loss.I’m quite sure people are still looking at you in the mall but for quite different reasons.You look terrific and that’s also good for mental attitude as the weight loss is good for your health. Absolutely amazing before and after pictures Karen – I would not have believed it without your story accompanying. I assume you have a pair of stirrup pants now? If it was me, I’d have a closet full even if i never wore them – ha! Your report that the hunger has not deceased really surprised me. I’ll tell you why. When I was in the hospital with colon cancer (more than 10 years ago and I am clear now) there was a complication after the operation and I was on intravenous nutrition for 6 weeks – my colon was blocked. Even though I got all the nutrition and vitamins and minerals that i needed through a tap in my neck – the hunger just grew and it grew and it grew and it grew. Every day that I was without food, I got hungrier – I couldn’t watch TV because the food commercials would haunt me.I couldn’t sleep because I would wake up with images of greasy hamburgers and pizza. I was a wreck. And,of course,I had to re-anchor my day in other ways when I was used to measuring everything in terms of time to a meal. Then one day about 30 days in, I woke up one morning and the hunger was gone. It was as if someone had snapped their fingers and it disappeared. Food no longer meant anything to me – no different than a phone pole or a man-hole cover – it was just something that was there and held no meaning to me or power over me. I realized just how powerful addictions must be. I am surprised that a similar effect hasn’t occurred with you Karen – once your body got the message that you no longer needed or would eat as much food. Hope find a solution to the hunger as effective as the solution to the weight.. Take Care. I’m hoping that day comes for me Paul 🙂 Thanks. I think so many folks forget that losing weight is only part of the battle. Keeping at a healthy target weight is another part, and the biggest and most important part is the learning to love and care for yourself part. Well done on getting through part of the battle and may God go with you for the rest of it, Karen. God love you, we all live with fear of some kind. It drives us, controls us, and in small doses helps us to achieve goals; but it is definitely something to be tamed like a wild horse or it runs away with your sanity. You have every reason to feel proud and successful but I so understand what you describe. I have never been extremely overweight but feel even more ashamed that I can’t ‘ buck up’ and lose those last ten pounds that would leave me the weight I’d love to be. And I struggle with exercise as well. I love to wlk and ride bikes but all that gym stuff is like insanity to me at the age of 56. Again I say congratulations for getting to a healthier you. That is the most important thing for those who love you. They want you around for a long time. All my best.